How have things changed in the world of recruiting? When I started my career, my role would have labeled recruiting as an HR function. And to some degree it still is, as you need to recruit talent in an efficient, scalable way and you're openly discussing benefits packages with candidates, inputting candidates into your systems, answering their questions, etc. 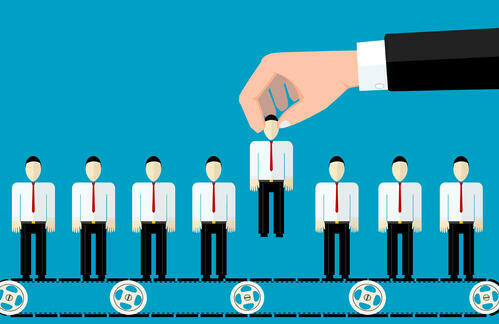 But recruitment needs to sit more as a sales and marketing function. Great candidates - the ones you truly want - aren’t just going to fall in your lap. In order to recruit the best, your company has to be the best in how they market themselves. You want to make candidates excited and passionate about your business, and culture and transparency are key to that. What’s the biggest mistake companies make in the recruiting process? There are three: Going too quickly and making improper assessments, not being transparent enough with the candidate and not setting the right expectations both about the job functions and the company culture. There are often multi-step interview processes with managers who haven’t been trained to interview properly. So the candidates are confused about the process and aren’t engaging with the company from the get-go, working off of no agenda and really flying blind. Companies often don’t discuss salary until too late in the process, and that’s a huge, huge mistake. As a candidate, if you’re not setting and asking about salary expectations at every stage, including that initial contact, just go home. Seriously. Transparency is important at every stage of the interview process. Tell me a bit about the role of technology in recruiting. Here’s the thing. People are looking for a magic technology pill to find “the perfect candidate.” But if your recruiting and interviewing process is flawed from the start, you won’t find those gems, no matter what technology you subscribe to. I’m a big believer in recruiting software that helps you keep your team organized, but it’s not a one-stop-shop to hire the best person for the job. Nothing will take the place of that personal connection. I come from an agency background, where we had to constantly interact with candidates because we never knew what job they might be right for. So I firmly believe in treating your rejected candidates like your hired candidates. I have connections from years ago that I still keep in my back pocket because they were such a great personality and we had an engaging conversation, because eventually, I want to hire them when the job fit is right. So your job goes far beyond the initial LinkedIn message. Absolutely. We need to care about the candidate experience from start to finish. It’s not just “go sit in meeting room 4” and wait for the vice president, it’s learning about the candidate’s story, why they’re a cultural fit as well as a skill fit. You hire first for culture, then for skills. Even if a candidate doesn’t make the cut, think of how much the world has changed now. A bad experience publicized on social media sites or Glassdoor can ruin your recruitment strategy. It’s so important to create advocates in your business - hired candidates, rejected candidates, former and current employees - they all matter. My worst nightmare is to get a bad review on Glassdoor on our interview experience and then have our CEO breathing down my neck asking why this candidate had a sh*tty experience. That should never happen. 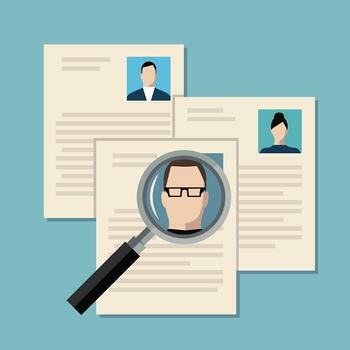 How can a company be sure they’re getting the right candidates for open jobs? Ten years ago it was rare to be talking about culture, but now all the best companies are talking about it. Everyone is saying oh yes, we’ve got a great culture, but you have to show, not tell, your candidates. And be upfront about it, too. We have a very flexible working policy, but it’s because we’re a global company - not your typical 9-5. There are three things every recruiting director should be obsessively checking: Your Career page on your website, your Glassdoor and your YouTube.